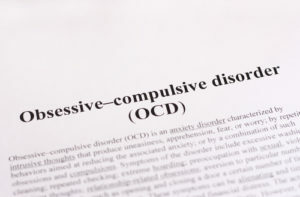 In my experience it is quite common for people looking for OCD treatment to seek therapy without discerning between different types of therapy. Some of the less fortunate ones end up doing unhelpful therapy for a year or more before deciding they need to see more results. When they start doing cognitive-behavioral therapy, they are often quite surprised at how different the approach and focus of each session are from the therapy they have done before. As unfortunate as it is that some people do not learn about CBT until years after symptoms begin, the good news is that CBT can be effective regardless of whether someone has had OCD for two months or twenty years. In my experience, what’s more important is whether they are willing to do the necessary homework exercises. If they are, success often follows. If you know someone who suffers from OCD and who has not tried cognitive-behavioral therapy, encourage them to learn about it. There is no reason to continue suffering from OCD when effective treatment is out there! Posted in OCD, Posts, Psychotherapy, Research, Uncategorized. Tagged with cbt, Cognitive-behavioral therapy, ocd.